We all know how vitally important it is for your oral health to see your dentist and hygienist regularly. A simple check-up will ensure you maintain a dazzling smile and make sure any problems with your teeth are swiftly dealt with – avoiding the need for significant restorative treatment. At Shadwell Dental Care, we generally advise you see your dentist every six months and our hygienists every three, depending on how good your oral health is. At an initial appointment, your dentist will have a conversation with you about your general health background, find out if you are experiencing any issues or have concerns about the appearance of your teeth. A dental health check will follow, which will involve examining the health of each individual tooth. Your dentist will also gently probe the gums to determine their health. We will discuss all our findings with you and may suggest that you visit one of our qualified hygienists. Talk to you about how your diet and factors such as drinking alcohol, smoking and stress can affect your mouth. Provide preventative treatments to protect you from tooth decay and gum disease, which if left untreated, can lead to bad breath and tooth loss as well as contributing to more serious underlying health problems. Talk to you about your cleaning routine, to make sure you're doing everything just right to protect your teeth and gums. We use the latest technology to provide gentle but effective cleaning to remove the build up of calculus which can cause gum disease. Our professional cleaning can also remove unsightly tooth-staining caused by smoking, coffee and other food and drink. Plastic coatings are applied to seal the groves of the teeth and prevent food sticking and causing decay. 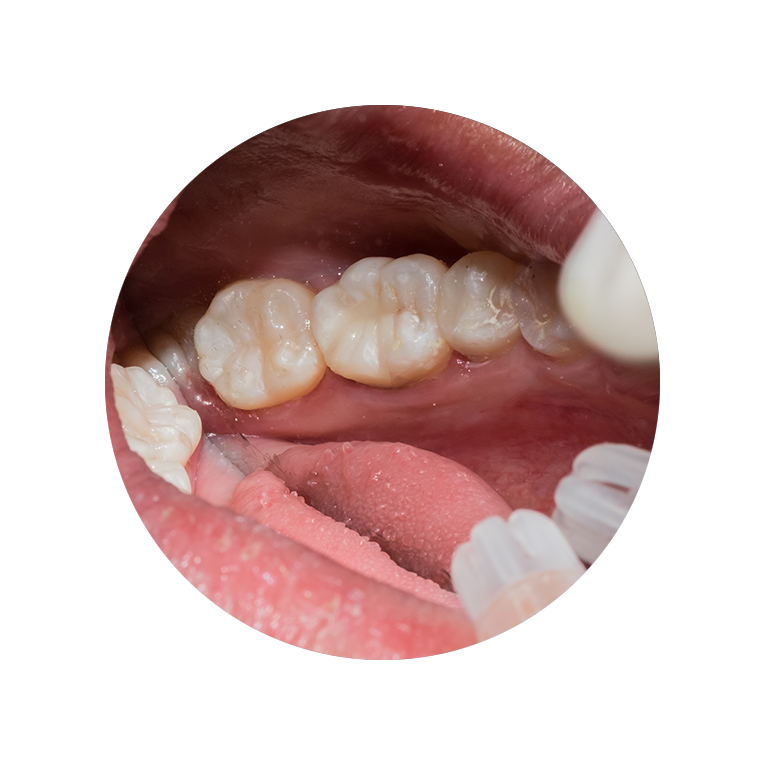 The application process only takes a few minutes, but the sealants themselves provide a protective layer which can last several years if checked regularly. The fluoride helps to strengthen the enamel coating your teeth. Treatments will also protect against acid and bacterial attacks and, in some cases, reduce sensitivity. Our qualified hygienists will provide the treatment on prescription from a dentist, usually after scaling and polishing your teeth.